Well, my daughter Charlotte has put her sorrow in the hands of God and now plans to adopt and rescue a baby who needs a loving home. Her sorrow has turned to joy, anticipation and excitement. 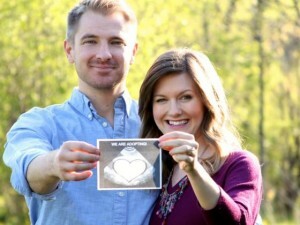 With her Army medic husband, soon-to-be doctor Wesley they have embarked on this long, tedious and expensive journey to find a baby with God’s help — and hopefully yours. Charlotte was born to us under extreme duress. She was a preemie weighing only 3 lbs. 9 oz. and was a fighter from Day One – she had to be to survive those first months. She is still a fighter and now fighting to find a baby who needs a home with loving parents who will raise him or her in the heart of the Catholic Church. 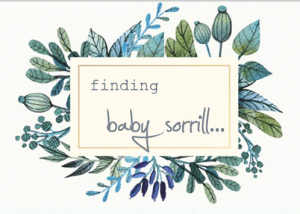 Please visit Finding Baby Sorrill, leave a message to let her know you will pray for her — and if you can add a few bucks to help them raise the money needed to adopt their baby. Thanks. From a Dad who loves his daughter, THANKS!